Suitable for grassed areas only, peg and pole marquees have internal centre poles and guy ropes around the outside perimeter. While small peg and pole marquees are available for cold hire/self-installation, our large marquees must be erected by our experienced riggers. NB. 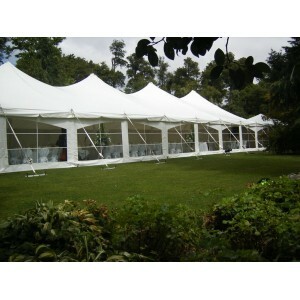 Peg and pole marquees may not be the ideal solution if you’re expecting high winds or heavy rain. Showing 1 to 16 of 24 items.